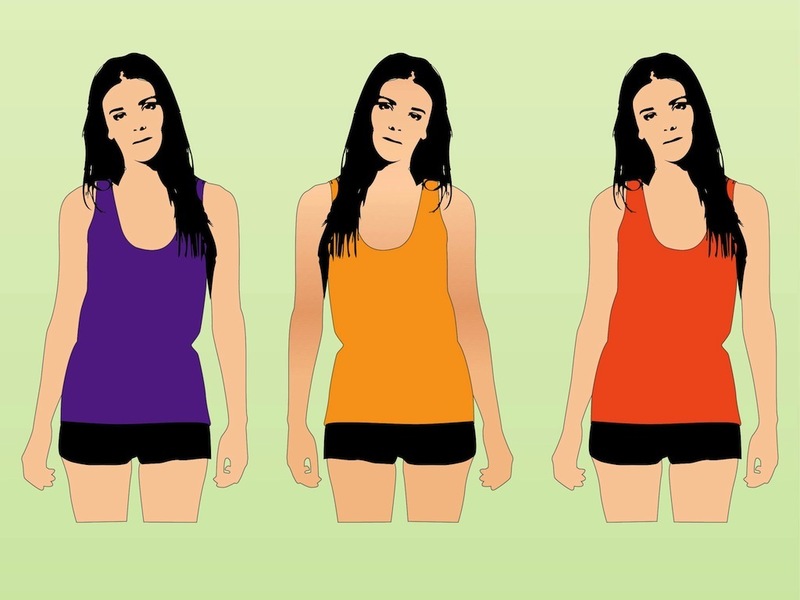 Pretty vector girl wearing light summer tank tops in different bright colors. Basic design of the clothing items, naturally beautiful model with pale skin and long dark hair. Free vector illustration for all fashion, style, modeling, clothes, apparel, trends, fashionable colors, summer clothes and female characters projects. Tags: Apparel, Clothes, Clothing Items, Colorful, Fashion, Girl, Model.